I attended Close To My Heart’s annual convention last weekend. It was such a happy and information packed weekend. I’ll share highlights over the coming weeks but today I wanted to show you the prize winning layout made! All consultants attending the event were invited to enter this page layout contest. Our brief was to use products from our current range and include the phrase “Make it from your heart” in the title. With Spring well and truly sprung my gorgeous hubby has been busy in the garden and that got me to thinking. I love pulling in to our driveway. The garden Mike has created is just beautiful – so welcoming and an oasis in our dry climate. I am so appreciative that he creates beauty in this way. He loves gardening. It is a work of heart for him. The actual layout is pretty simple. Just a 6″ strip of Kaleidoscope paper (X7202B) across the middle of the page, stitched borders either side with Whisper Twine (Z3095) and the stitch ruler (Z1852) and photos on cardstock mounts. The fun part comes when you add the hearts! 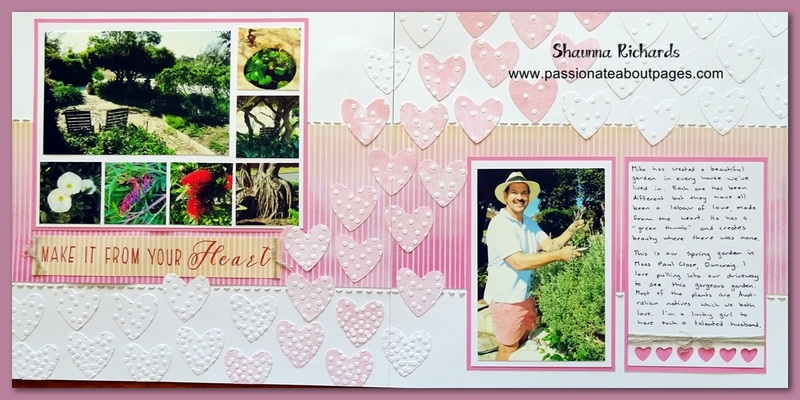 I began by cutting a full sheet of 1.5″ hearts from White Daisy Cardstock. I used the Art Philosophy cartridge (Z3171) with my Cricut. 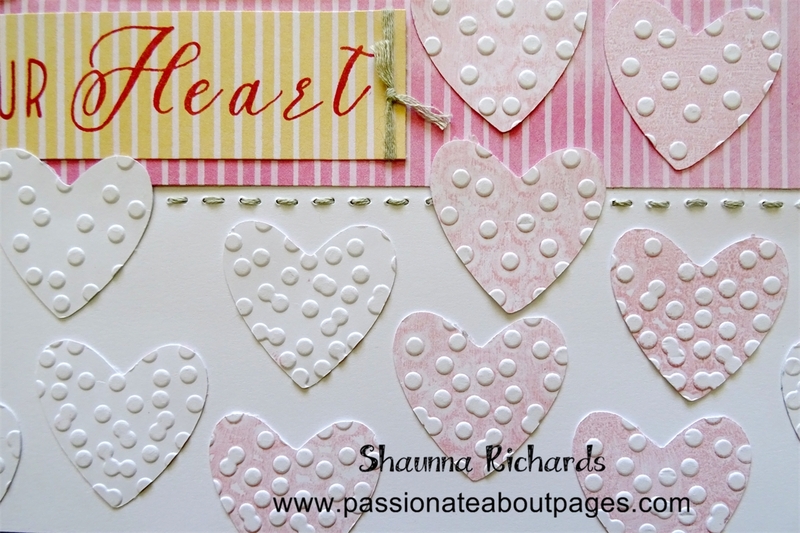 I arranged about half the cut hearts in the Confetti Embossing Folder (Z3118) and put it through my Cuttlebug. Before embossing the other half of the hearts, I ran the Pixie inkpad (Z2644) over the inside of the embossing folder (the piece with CTMH logo on the front). When I opened the folder the ink had transferred to the flat parts of the design and left the dots white. 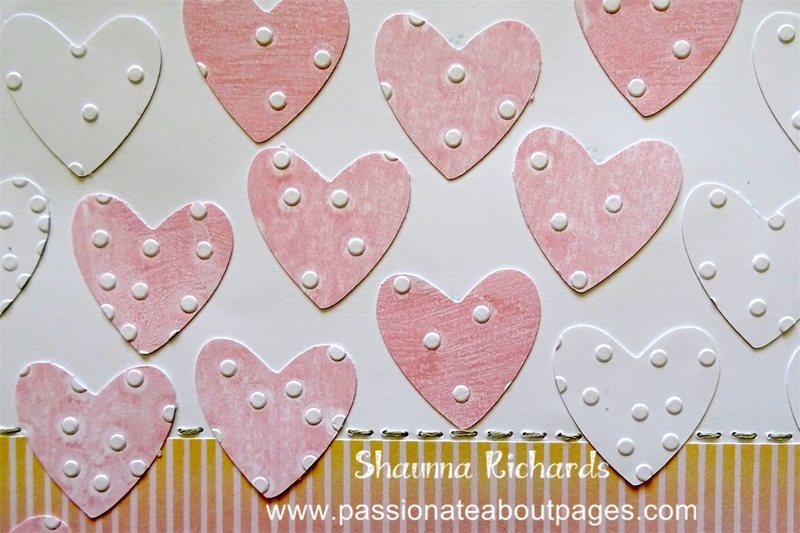 Lastly, I arranged the hearts as shown in the layout, keeping the pink ones centred on the layout and following the design of the confetti folder with densely spaced dots lower on the page. My title was stamped with two alphabets – Jennifer’s Hand (B1484) and Inked Alphabet (E1033). There were around 50 entries in the competition and I was chosen as one of 10 people to win a $100 product bundle! I was pretty excited I can tell you. 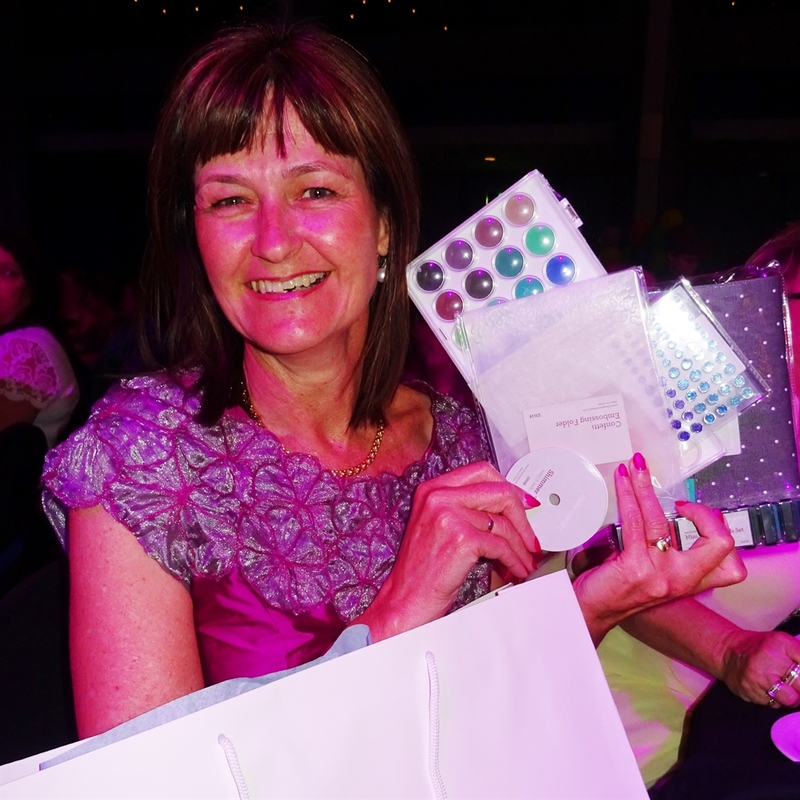 Look at all the goodies I won! If you would like to order any of the products featured on this layout just hop on over to my website , comment below or contact me directly.